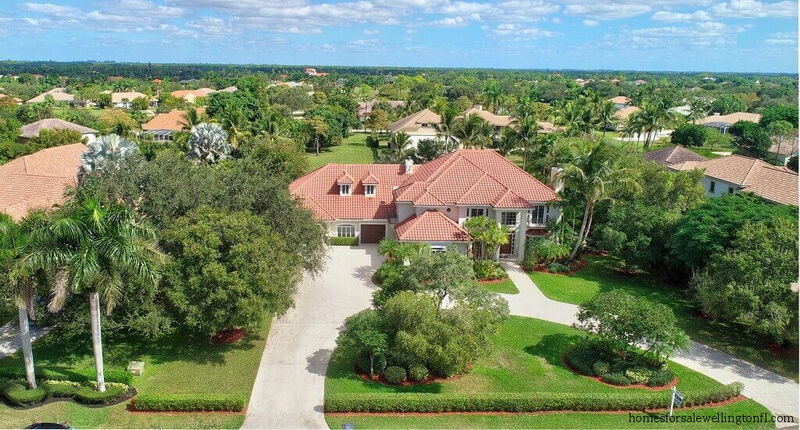 2090 Windsock Way Wellington FL is an Elegant Estate home located in the prestigious community of Wellington Aero Club. Over the years, you have worked hard and sacrificed much. It is time to reap the benefits and enjoy the privilege of flying right up to your back door. Welcome home! 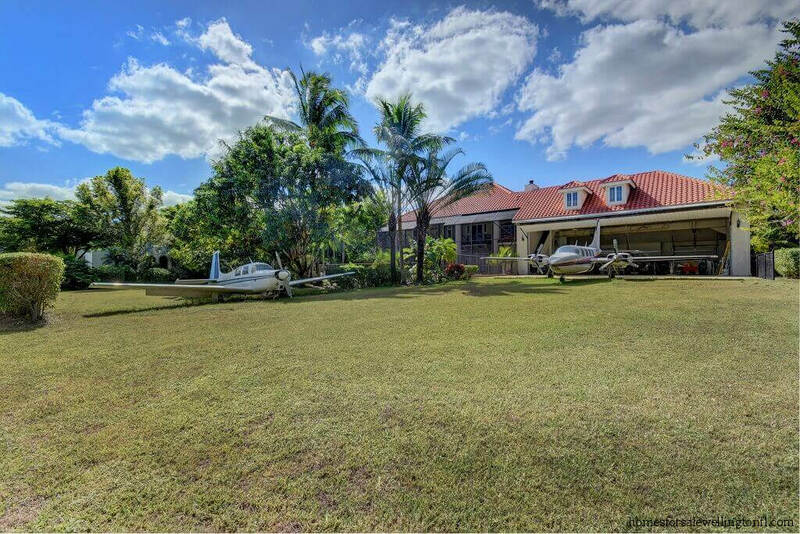 This distinguished home is situated on .93 acre lot and is on a peaceful cul-de-sac directly across from Wellington Aero Club’s 4,000 foot lighted runway. Direct Taxiway Access to your own 1850 Square Foot private hangar with a 42 x 14 Foot Hangar Door. Hop out and join your family with a cocktail and a dip in your beautiful pool before dinner. 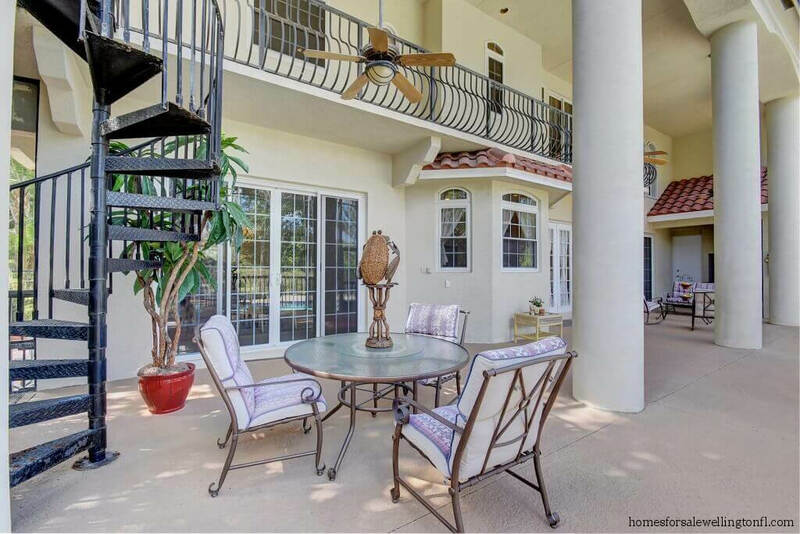 Enjoy dinner on your expansive 58′ x 19′ Screened Patio complete with Cabana Bath and Shower. Enjoy entertaining? Plenty of space for friends to park in your large circular drive. 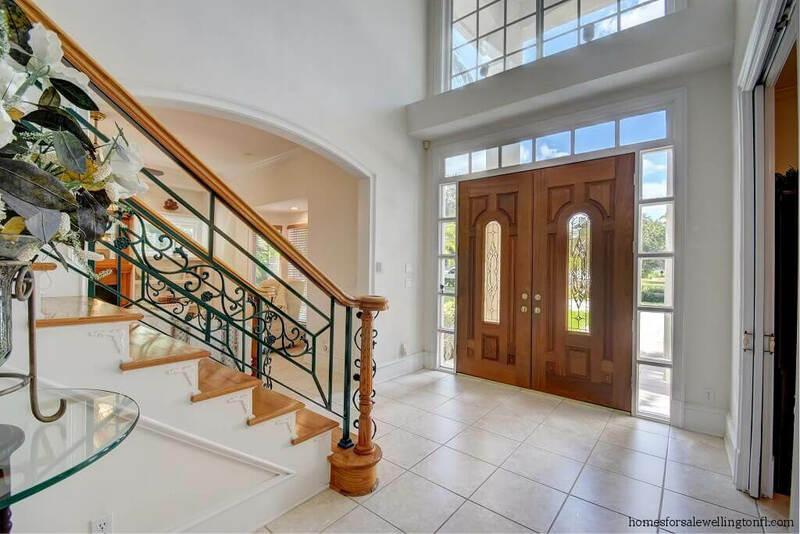 Swing open the elegant double doors and welcome your friends, family or business associates into your foyer with lofty soaring ceilings. Make your guests their favorite cocktail and enjoy your formal living room which boasts a welcoming fireplace topped by elegant custom mirror. 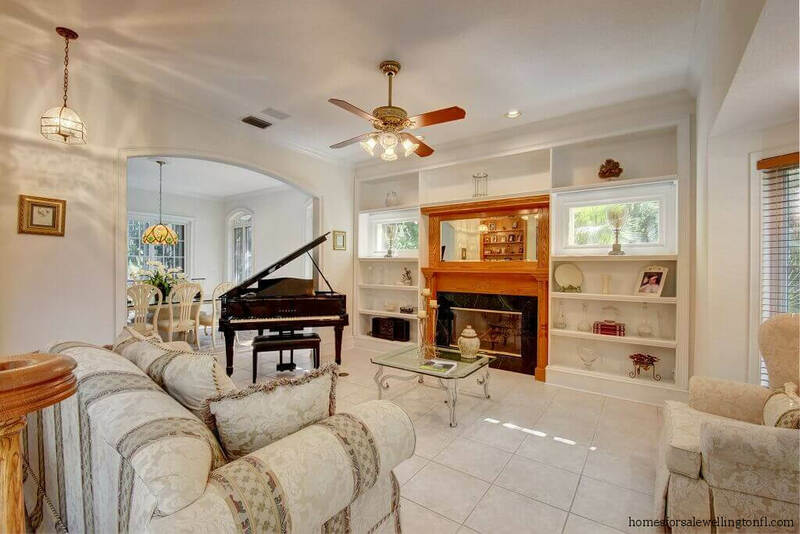 Brag and reminisce a little about the kids with family photos displayed on built in book shelves with WINDOWS that flank either side of the fireplace. 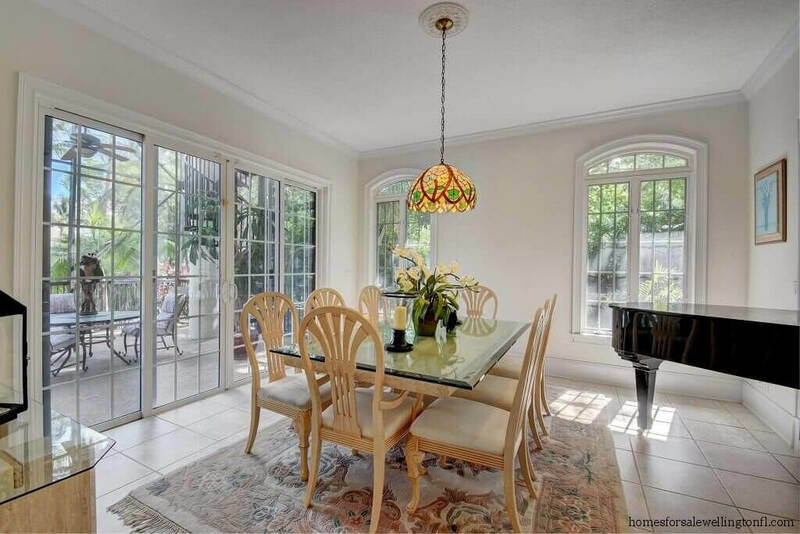 Enter the formal dining room with a double set of French doors that allow you to look out over your screened patio and inviting pool area. 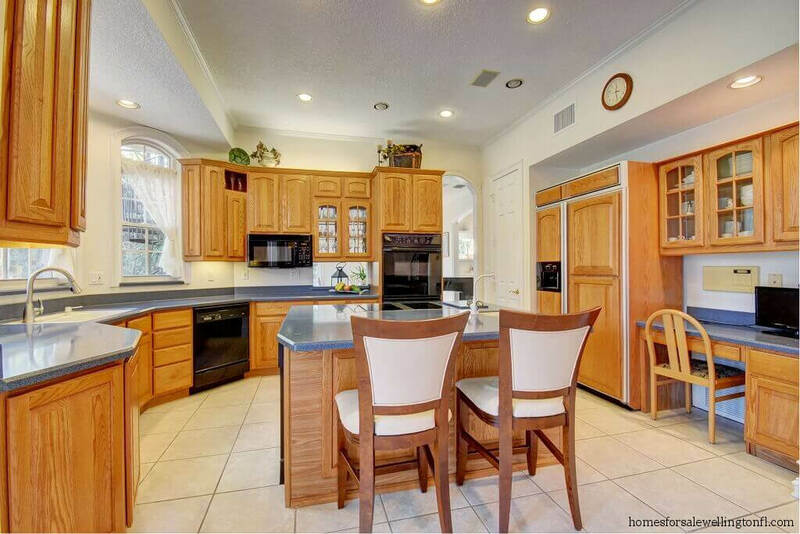 The kitchen offers a center island with a prep sink and cooktop, double oven, two dishwashers, walk in pantry pass through to both the formal dining room as well as the pool area. 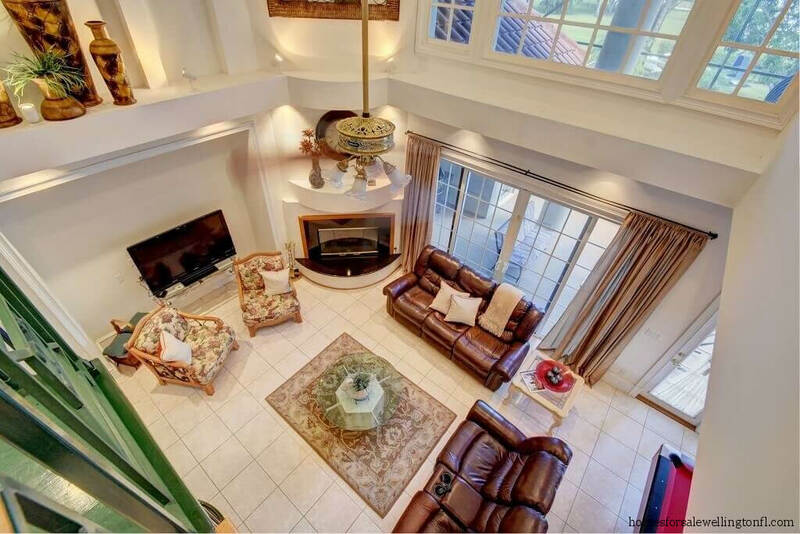 When the time comes to wind down for the evening put your feet up, either watch the big screen TV or enjoy the cozy corner fireplace. Challenge the kids and grand kids to a game of pool on your regulation size Brunswick pool table. 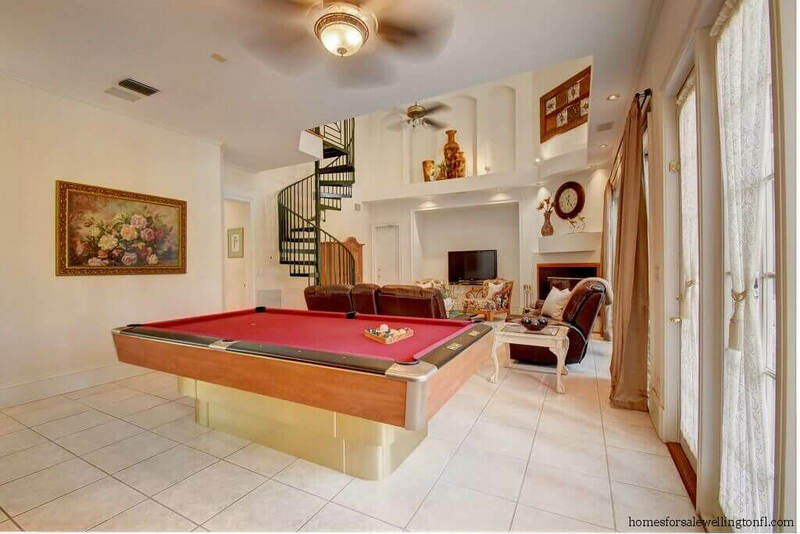 The attention to detail in this Estate home is evident at every turn. 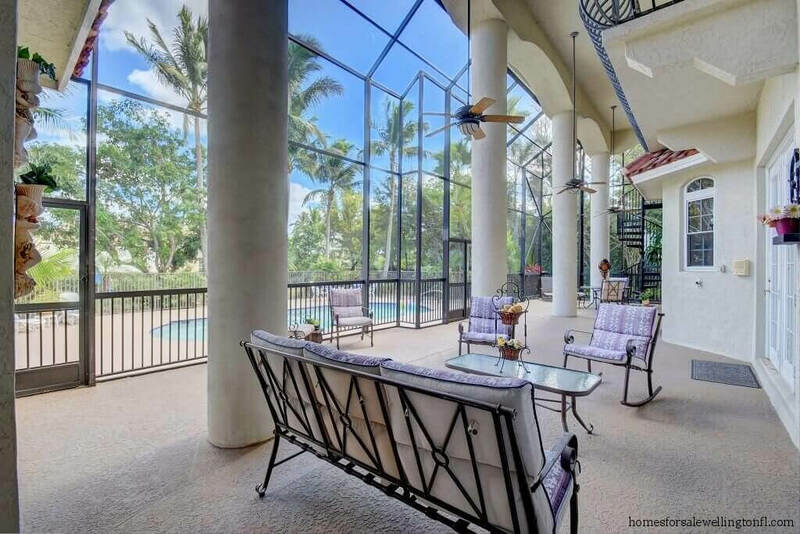 From the beautiful oak and wrought iron stairway that leads you to the upstairs bedrooms, the gorgeous tray ceilings in each of the four 2nd floor bedrooms to the light filled floor-to-ceiling windows in each room you will enjoy coming home to your estate home. The addition of the wrought iron Juliet balconies in each of the bedrooms allows the room to take on an outdoor feel. Arrange a comfy chair there by the doors and you could read or nap away a warm afternoon “outdoors”, in the comfort of the interior. 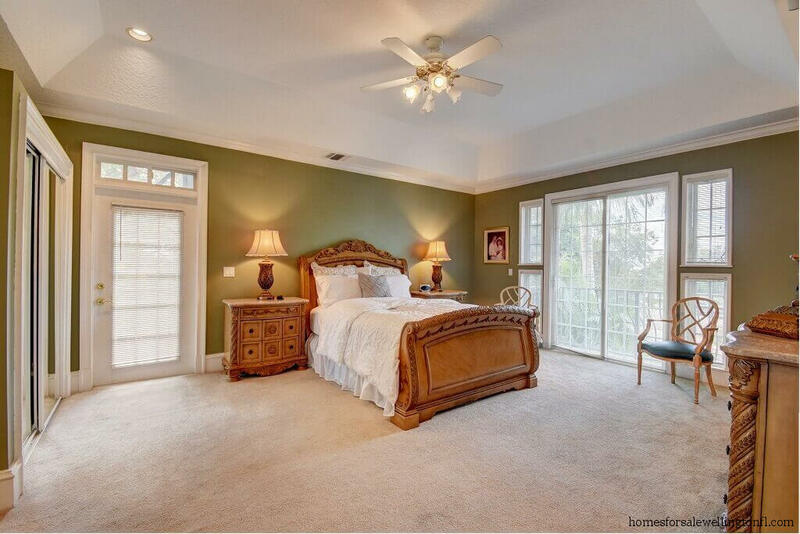 Your master bedroom has floor to ceiling windows with custom shutters for privacy. 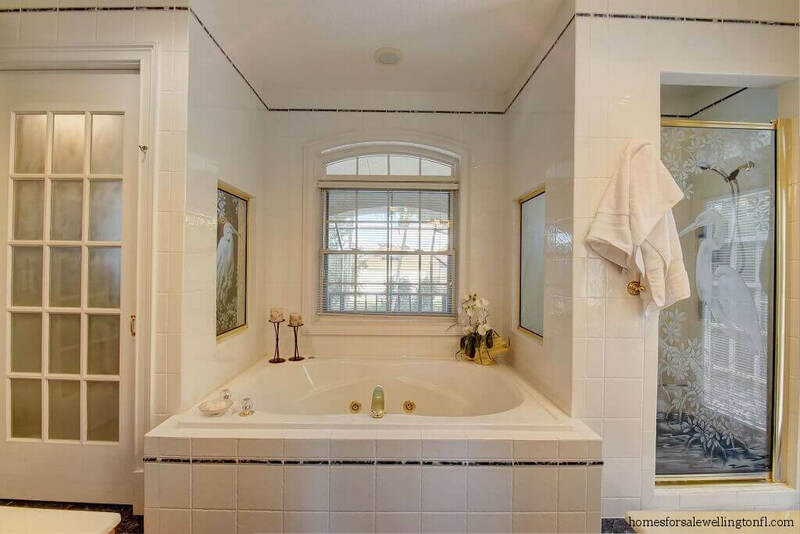 A large master bath with his/hers sinks, large shower, linen closet and spacious Jacuzzi tub for relaxing after a tough day at work. 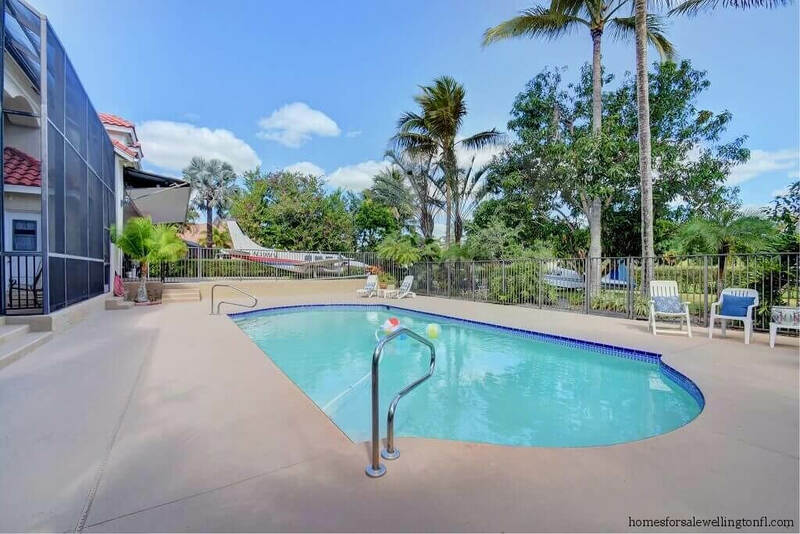 The 2nd bedroom offers an en-suite bath with large Jacuzzi tub and large walk in closets, the 3rd and 4th bedrooms share a spacious bath with relaxing Jacuzzi tub. Having your Mom and Dad visiting? The 5th bedroom is conveniently located on the 1st floor. Currently used as a home office this room has closet and is adjacent to full bath. When the time comes to do the laundry, you will appreciate the fact that there are 2 laundry rooms! There is a large 1st floor laundry room with separate entrance, plenty of cabinets and built in ironing board. There is also a laundry room on the second floor which is currently being used for storage but does have washer/dryer hook ups! You will enjoy your 42′ x 14′ Hangar with overhead door, room to park 2 cars and plenty of work space and room to tinker. 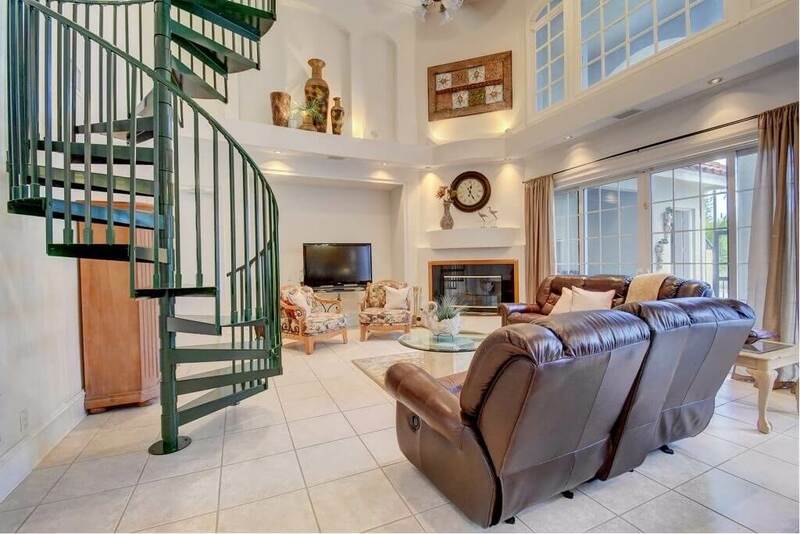 In the hangar there is a staircase to your 2nd story, 18′ x 28′ guest or in-law suite complete with bath and kitchenette. 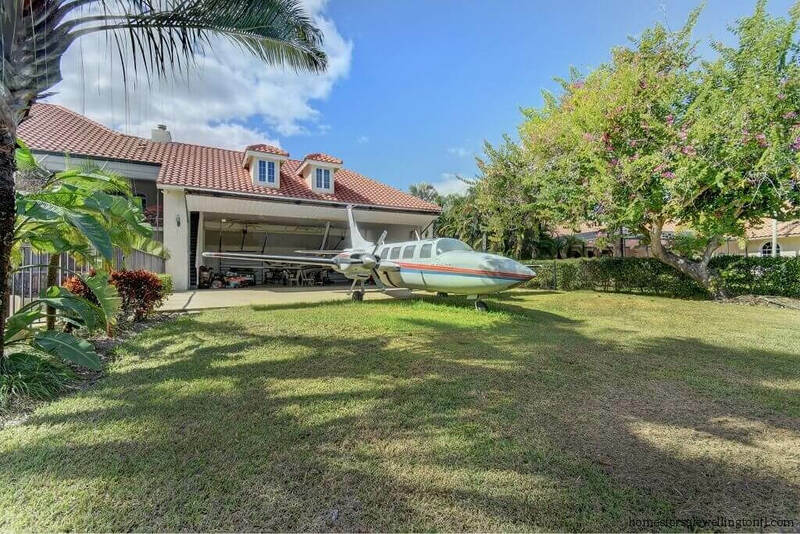 One of the best features of Your New HOME at 2090 Windsock Way Wellington FL, is the fact that you have Direct Taxiway Access which allows you to Land And Taxi to your home in only minutes. 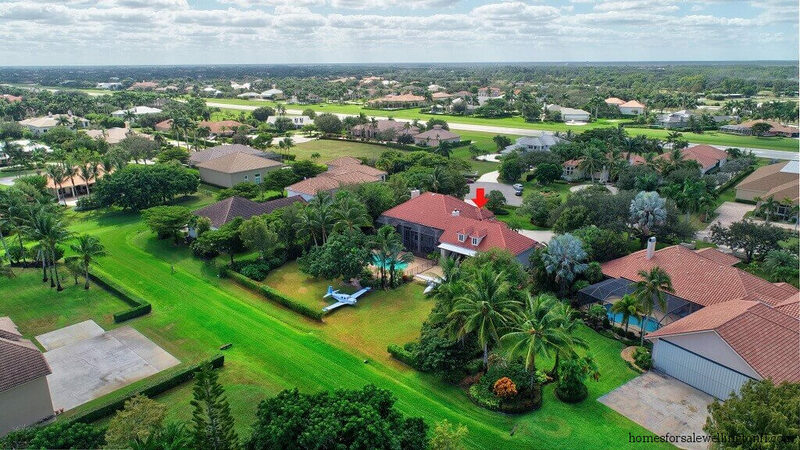 Your Estate home is across the street from the 4,000 Foot Lighted Runway. Wellington Aero Club has a Pilot House and fuel on site as well. Close to the Wanderer’s Club, Wellington Equestrian Activities, Great Restaurants, Excellent Schools and more. Welcome Home! Please note all measurements are approximate. 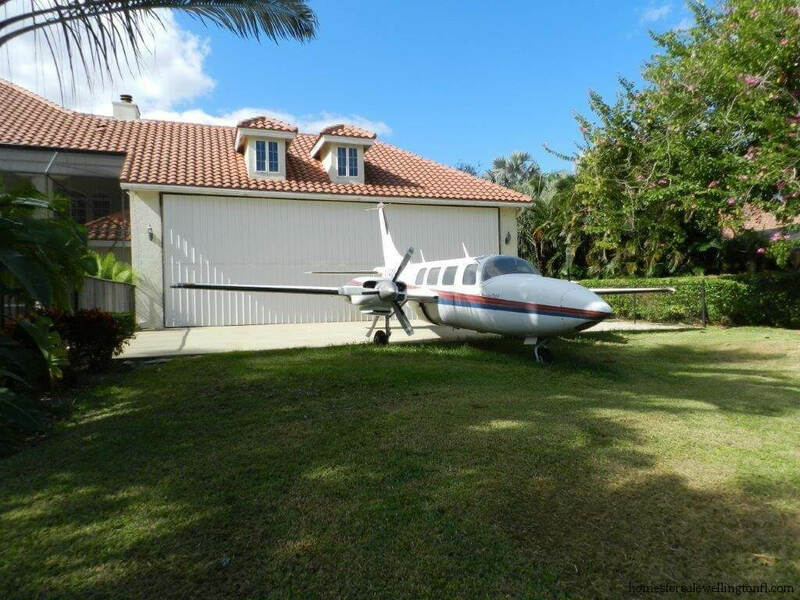 Interested in Listing Your Wellington Aero Club Home For Sale? Thinking of Selling? 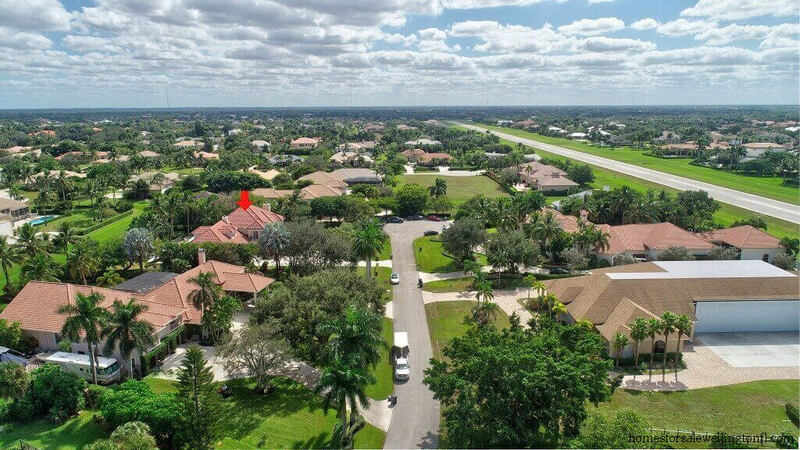 If you would like to find out the VALUE of your Wellington Aero Club home please call 561.308.9355 or visit What is MY Wellington Aero Club FL Home Worth and I will email you a FREE market analysis or will be happy to stop by for an in home visit. 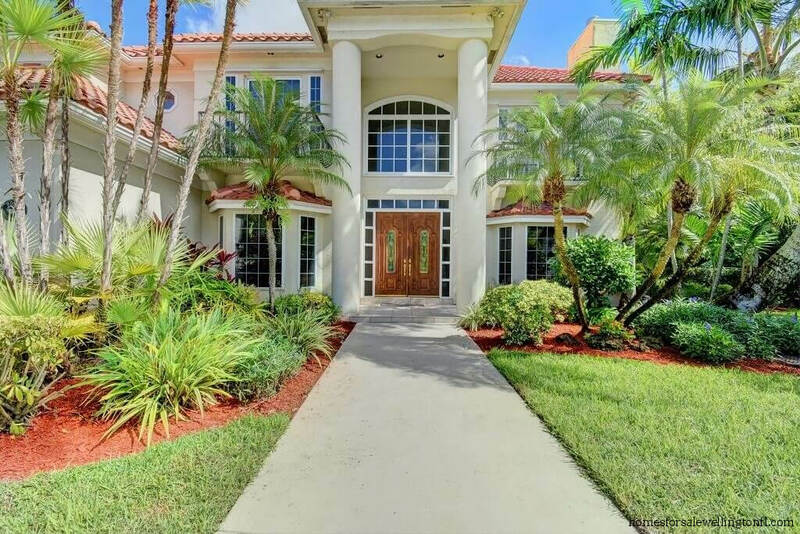 Please take a moment to view my Marketing Plan which ensures that I will sell your home for Top Dollar in the least amount of time and with the least amount of sacrifice as I did for this homeowner! Please take a moment to review my Client Testimonial page.